Kjeldahl Distillation Unit India, Kjeldahl Distillation Unit Manufacturer, Kjeldahl Distillation Unit Suppliers & Kjeldahl Distillation Unit Exporters in India. 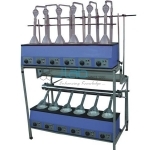 JLab is renowned Exporters & Manufacturer of Kjeldahl Distillation unit & Scientific Lab Instruments India, Kjeldahl Distillation unit Exporters, Kjeldahl Distillation unit Suppliers India. Mantle Type heating system. 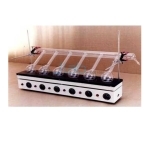 This is very useful for distillation purpose for 300 ml. and 500 ml. Capacity flasks.